its the sixth book in the series and I’m seriously hooked with Harry Dresden. This book is fast paced, funny, lighter in plot but still full of action. In this edition Harry find himself solving a case for an adult film maker who is facing a strong entropy curse and his female associates are getting murdered one by one. Harry also fights Black Court’s nest with the help of Murphy and Kincaid (a hired assassin). If all this is not enough, Harry also finds himself in the middle of White Court’s power struggle. This book also focus more on emotional quotient. Be it Murphy’s relation with her mother and her sister or shocking revelation about Harry’s sibling. Even the emotional bond between Thomas and his sisters is also beautifully described. 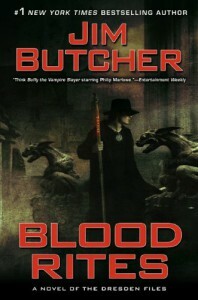 Jim Butcher’s writing and the way he tells us the story is amazing. The time he takes in plot development never felt too much. Everything simply is perfect. Placing small jokes here and there making me laugh and then some serious talk. 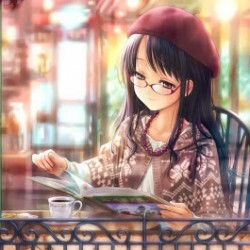 Twist and turns of the book simply put me on the edge throughout the reading. I absolutely love "Mouse", his new pet.